BOX ELDER, S.D. — The Douglas School District is preparing for a roughly 50 percent growth after the Air Force announced Ellsworth as the first home of the B-21 program, along with a training and operational squadron. According to Alan Kerr, Superintendent of Douglas Schools, says they’re anticipating an additional 1,500 students on top of the 3,000 currently enrolled. That kind of growth poses a challenge financially but expansion has been on the district’s radar since last year. 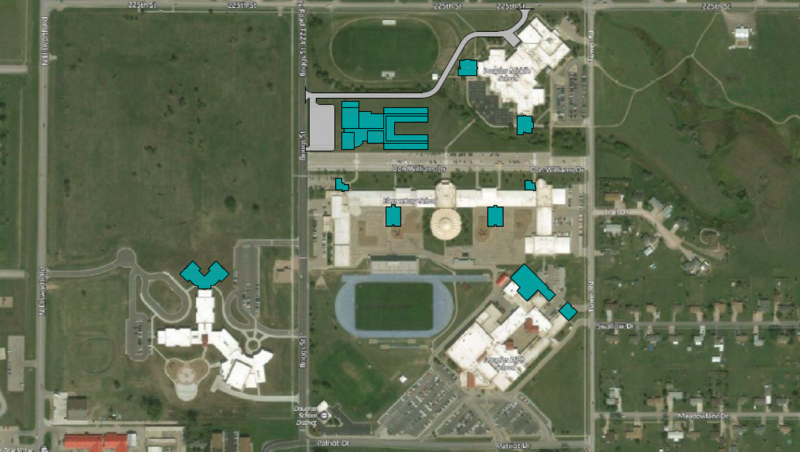 In December, the district put together a facilities master plan that lays our areas of addition. “All five of our buildings, we would just add onto them is the plan and we have some open space where we might have open facilities, new facilities,” said Kerr. No final decisions have been made as to any expansion or building projects. As for paying for additions and new facilities, Kerr says they’ve been working with Sen. John Thune and Sen. Mike Rounds to get money appropriated through the Department of Defense. The school district has been working closely with Ellsworth AFB and the Ellsworth Development Authority to meet the needs of the community. Kerr says he hopes that Box Elder becomes a really strong supporter of the B-21 mission.